Global unity must begin somewhere, and it must begin with one individual, you, the reader. Realization is a perception experience that reveals your true identity. Your discovery is made a part of your understanding. In realizing, you are merely enhancing and embracing the oneness that already exists, but you are not simply aware of. Your true identity is not intellectually chosen or made, but actually discovered; it only awaits being clearly seen. Once seen, this sense of oneness with all humans feels familiar, natural and instinctive. The innate character of mankind is seen as identical with your own. Realization, your clear awareness of the fact, is the capacity, the ability, the freedom to experience and express global unity. Realization is an inherent awareness or sense of your connectedness–you feel connected or in phase with all of humanity. You see what you truly are, the non-physical reality of awareness, and are aware that there is no difference or separation between yourself and any other human. Your simple seeing constitutes your union with all. 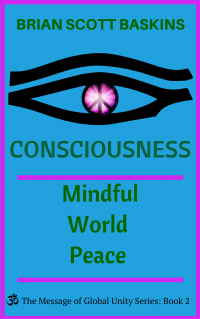 Consciousness is the unifying factor. This creative release or freedom cannot come about through coercion of any kind, but only through sensitive, intelligent understanding. You are no longer hedged in by the hindrance of racial and cultural identification and its conditioning. Racial discord must be dissolved from within. Global unity IS this realization of your true identity. Once you have this realization and embody it; you see that there is no conflict, no difference and no separation. You are free. Your realization is of the exact nature of global unity, its very essence. Realization of your true nature is a unifying conclusion that naturally brings global unity in its wake. Realization is a causative, unitive experience where there is great liberation and freedom. Savor and abide in your true essence, bask in it and it in you. 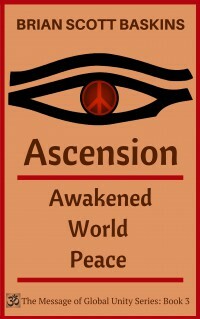 Realization: Enlightened World Peace is Book 4 in The Message of Global Unity Series. Simple to understand yet deeply thought provoking, Realization is the direct felt experiencing of the actuality of oneness. 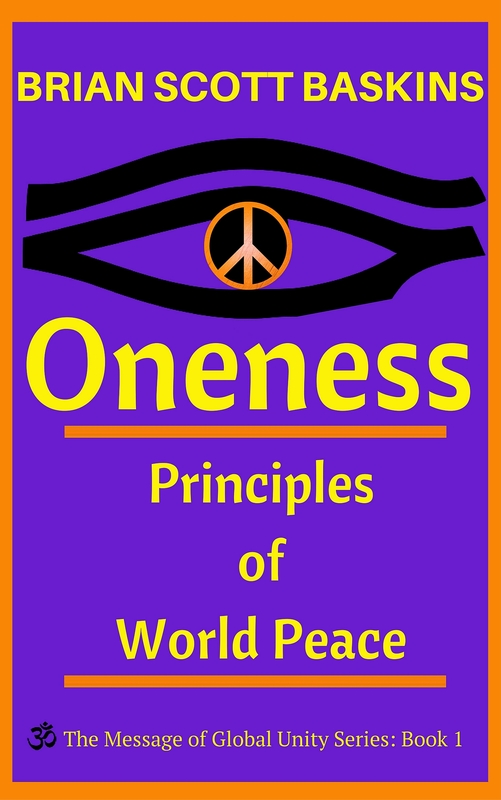 This book leaves readers one in intent, one in solution to humanity’s problems, and one in the will to unite humanity to work together for peace, in the spirit of cooperation, locally and globally. Realization is a dramatic breakthrough that makes us all happier in unforeseen ways. It inspires us all to loosen up a bit, to question belief systems, to think outside the box and spend more time on a new way of thinking. Baskins has a wonderful way with words, and the expression of his vision is rich and inspiring. Oneness comes to life and there is an echo of bliss in every word he writes. This is the realization of Oneness. We are all the same thing. In what we really are, we are all already equal. On this fundamental level, race, gender, religion, ethnicity, culture, and language make no difference. Oneness takes more than studying oneness and the belief in the unity of one God along with interconnectedness. It is also not just removing barriers to accomplish Oneness. It takes people purposefully building relationships with one another. Labelling and grouping humans in the world on the basis religion, creed, race, caste, color and economic status has created a psyche of “us versus them” resulting in constant conflicts. Human survival depends on humanity applying the principles of one world, one country and one race. Oneness means we all belong to one race – the human race. At the end of the day we are all the same thing. As you embody the energy of your realization, you can rely on your commitment to cooperation, communication, collaboration, coordination and compromise in dealing with others. Through realization, which is your own personal connection to consciousness, you deeply feel we are all in this together. The solution to challenging situations lies in realizing the oneness of all players. You do nothing to try and bring them together, but realize that they are already one to begin with. Get to the core of what contributes to racial strife and war. Until the idea of both racial and national identity is seen as false and thereby relinquished, there will be no world peace. See the role of the identification process in separating and allowing for separation and learn an evolved view of race that is logical and inspirational. Realize that we are united to all life. This meaningful unity means nothing is separate and apart, yet the conditioned mind tells us otherwise. The conditioning is always trying to survive by getting us to identify with those things that are less than consciousness. Realization moves the reader from identifications considered mutually exclusive, or diametrically opposed to each other to a coalescing within consciousness into a cohesive whole. If we live in our realization, we will feel oneness in the-heart. But if we live in the conditioned mind, we separate human beings into “the other” and see how they differ. It is the heart that can have a true intuitive understanding of the oneness of all human beings. It is the heart that sees and feels the inner harmony and oneness of consciousness. This book stirs deepest your feelings through an intense emotional appeal to touch your soul. Reading his book is ideal to help you become more conscious of these mental patterns. Once aware and independent of them, your freedom enables you to be a guiding light to others to implement your release in practical ways. Realization isn’t an intellectual understanding. It is an understanding based on feeling. Based on an intimate awareness of spiritual laws, this book is deeply meaningful, and Baskins’s sentences are carefully stitched together with a compassionate heart and soaring spirit. If you enjoy reading Bruce Lipton, Chogyam Trungpa and Gary Zukav, then this book is for you. Inspirational and concise, these profound and simple truths are written with courage and clarity. Once readers have finished this book, their realization is a shift in consciousness, or an awakening. An essential part of this awakening is the interconnectedness of each and every person on this planet. We are truly one! Global Unity Media is a digital first publisher of self-help, inspirational and transformational books. If you like authors like Marianne Williamson, Eckhart Tolle, Jeff Foster, Ken Wilber, Deepak Chopra, Wayne Dyer, Neale Donald Walsch and Miquel Ruiz, you are going to love this book. Copyright © 2015-2016 Global Unity Media. All rights reserved. Click on the image to learn more!